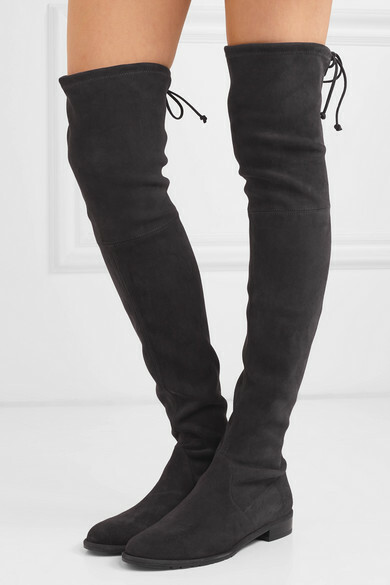 Stuart Weitzman's 'Lowland' boots earned their cult status after being spotted on the likes of supermodels Lily Aldridge, Gigi Hadid and Karlie Kloss - you can recognize them by the ties at the cuff that stop them from slipping. 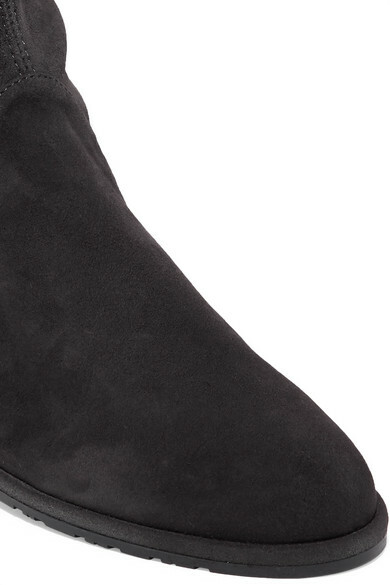 This pair has been made in Spain from suede that's soft and supple and has a flattering over-the-knee silhouette. Wear them with mini skirts and dresses. Shown here with: Loewe Dress, Loewe Shoulder bag, Jennifer Fisher Earrings.